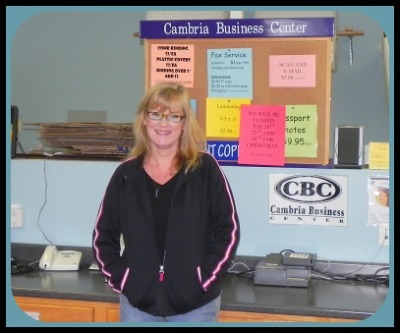 Cambria Business Center is the greatest local business center in the world. Terry Richardson (above) and her husband Tony are good friends of mine and I highly recommend you visit the center for all your business needs. Terry will always greet you with a smile and a warm hello. If you are on vacation or a day trip to the Central Coast of California you can count on CBC to help with all your business needs. CBC offers custom packing for all kinds of items. We have trained packing experts on site to package your fragile or hard to pack items. We also offer custom crating for your heavy or valuable items. If you buy a custom piece of art and want to sure it gets pack right, CBC is your solution. 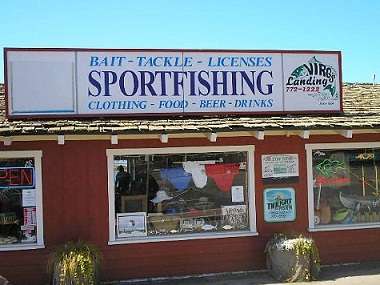 You Talk about a great local business center. For over 8 years Cambria Business Center has been an Official Authorized Ship Center for UPS-FedEx and ONTRACK. If you have a case of wine you want to ship home, CBC is the solution. CBC also carrys office supplies, register and credit card machine tape statement and invoice books, envelopes, index cards, pens, etc… They also carry a full supply of printer inks, Epson, Canon and Lexmark. Don’t see what you need? They can order it in for you and you can pick it up the next day in most. Cambria Business Center in Cambria, California click on this link for more information Loca Business Center.